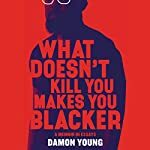 Interview: Listen in as Damon Young talks about what it meant to hold both his childhood and current ideas of black masculinity up to the light in his insightful and funny memoir, What Doesn't Kill You Makes You Blacker. Note: Portions of this interview contain mature language. I wonder how much of a role socialization played in me having certain ideas of what a man is supposed to be, what a husband is supposed to be, what a wife is supposed to be, and what a woman's supposed to be in a family unit. 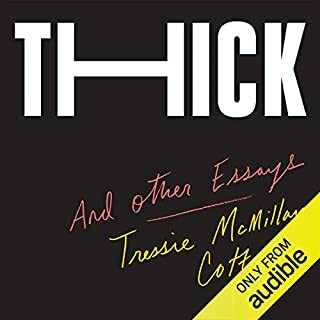 Smart, humorous, and strikingly original essays by one of “America’s most bracing thinkers on race, gender, and capitalism of our time.” (Rebecca Traister) In these eight piercing explorations on beauty, media, money, and more, Tressie McMillan Cottom - award-winning professor and acclaimed author of Lower Ed - embraces her venerated role as a purveyor of wit, wisdom, and Black Twitter snark about all that is right and much that is wrong with this thing we call society. 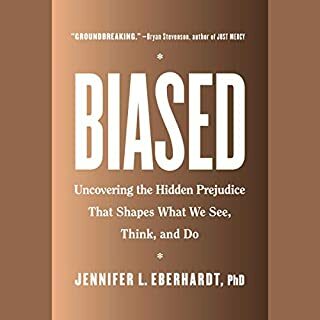 From one of the world's leading experts on unconscious racial bias, a personal examination of one of the central controversies and culturally powerful issues of our time and its influence on contemporary race relations and criminal justice. By the time he was 27 years old, Kwame Onwuachi had opened - and closed - one of the most talked-about restaurants in America. He had launched his own catering company with $20,000 that he made from selling candy on the subway, yet he’d been told he would never make it on television because his cooking wasn’t “Southern” enough. 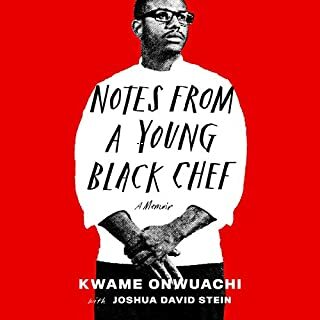 In this inspiring memoir about the intersection of race, fame, and food, he shares the remarkable story of his culinary coming of age. 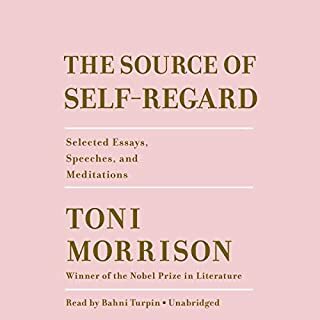 Arguably the most celebrated and revered writer of our time now gives us a new nonfiction collection - a rich gathering of her essays, speeches, and meditations on society, culture, and art, spanning four decades. 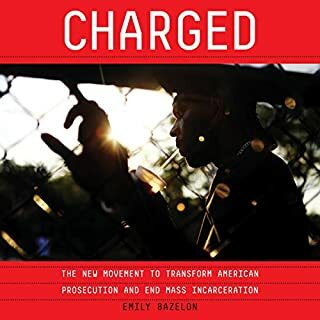 A renowned journalist and legal commentator exposes the unchecked power of the prosecutor as a driving force in America’s mass incarceration crisis - and charts a way out. 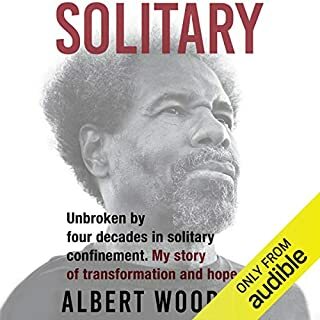 Unbroken by four decades in solitary confinement. My story of transformation and hope. Bridging women's history, the history of the South, and African-American history, this audiobook makes a bold argument about the role of white women in American slavery. Historian Stephanie E. Jones-Rogers draws on a variety of sources to show that slave-owning women were sophisticated economic actors who directly engaged in and benefited from the South's slave market. Alyssa Mastromonaco is back with a bold, no-nonsense, and no-holds-barred 21st-century girl's guide to life, tackling the highs and lows of bodies, politics, relationships, moms, education, life on the internet, and pop culture. Whether discussing Barbra Streisand or The Bachelor, working in the West Wing or working on finding a wing woman, Alyssa leaves no stone unturned...and no awkward situation unexamined. "The ultimate Obama insider" (The New York Times) and longest-serving senior advisor in the Obama White House shares her journey as a daughter, mother, lawyer, business leader, public servant, and leader in government at a historic moment in American history. Remember that moment when you first encountered a character who seemed to be written just for you? That feeling of belonging remains with readers the rest of their lives - but not everyone regularly sees themselves on the pages of a book. In this timely anthology, Glory Edim brings together original essays by some of our best black women writers to shine a light on how important it is that we all - regardless of gender, race, religion, or ability - have the opportunity to find ourselves in literature. Great stories that everyone will enjoy. Queenie Jenkins is a 25-year-old Jamaican British woman living in London, straddling two cultures and slotting neatly into neither. She works at a national newspaper, where she’s constantly forced to compare herself to her white middle-class peers. After a messy break-up from her white long-term boyfriend, Queenie seeks comfort in all the wrong places...including several hazardous men who do a good job of occupying brain space and a bad job of affirming self-worth. This is a story about America during and after Reconstruction, one of history's most pivotal and misunderstood chapters. In a stirring account of emancipation, the struggle for citizenship and national reunion, and the advent of racial segregation, the renowned Harvard scholar delivers a book that is illuminating and timely. Real-life accounts drive the narrative, spanning the half century between the Civil War and Birth of a Nation. National leader Stacey Abrams has written the guide to harnessing the strengths of being an outsider and succeeding anyway. Leadership is hard. Convincing others - and yourself - that you are capable of taking charge and achieving more requires insight and courage. Lead from the Outside is the handbook for outsiders, written with an eye toward the challenges that hinder women, people of color, the working class, members of the LGBTQ community, and millennials ready to make change. So what if it's true that Black women are mad as hell? They have the right to be. In the Black feminist tradition of Audre Lorde, Brittney Cooper reminds us that anger is a powerful source of energy that can give us the strength to keep on fighting. Far too often, Black women's anger has been caricatured into an ugly and destructive force that threatens the civility and social fabric of American democracy. But Cooper shows us that there is more to the story than that. Drawing on her life’s work, Bettina Love persuasively argues that educators must teach students about racial violence, oppression, and how to make sustainable change in their communities through radical civic initiatives and movements. She argues that the US educational system is maintained by and profits from the suffering of children of color. Instead of trying to repair a flawed system, educational reformers offer survival tactics in the forms of test-taking skills, acronyms, grit labs, and character education, which Love calls the educational survival complex. From the cofounder of VerySmartBrothas.com and one of the most read writers on race and culture at work today, a provocative and humorous memoir-in-essays that explores the ever-shifting definitions of what it means to be black (and male) in America. For Damon Young, existing while black is an extreme sport. The act of possessing black skin while searching for space to breathe in America is enough to induce a ceaseless state of angst where questions such as “How should I react here, as a professional black person?” and “Will this white person’s potato salad kill me?” are forever relevant. What Doesn’t Kill You Makes You Blacker chronicles Young’s efforts to survive while battling and making sense of the various neuroses his country has given him. At its most devastating, it provides him reason to believe his mother would be alive today if she were white. 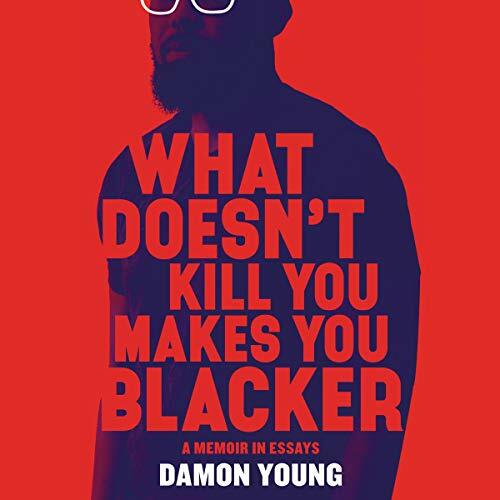 From one of our most respected cultural observers, What Doesn’t Kill You Makes You Blacker is a hilarious and honest debut that is both a celebration of the idiosyncrasies and distinctions of blackness and a critique of white supremacy and how we define masculinity. So grateful for your ability and willingness to use your platform to represent the voice of the 30 something year old, college educated, hoopin *ss, praying, husband of a Black woman, father of a Black daughter (& recently a Black son), professional, who happens to be “decent,” Black man who spends a great deal of his time navigating white supremacy and being confronted with “integrity” or “sanity,” to write a book that validates the experience that comes with all of those things. (Right fist double pound the spot on my chest near my heart). Keep shining! One of the best books I've read. This is a seminal work that should be added to the canon of work describing what it means to be Black in America alongside Wright, hooks, Coates and Obama. For a Black Pittsburgher, it's a coup de gras that epitomizes what we feel, but cannot articulate. Damon did it for us. This is a thoughtful and funny book. I thought this book was really interesting and I appreciated the author for writing it, for his vulnerability, for his insight into black culture and the black experience. Definitely worth a read. Performance is really poor. I had to slow tape to understand what was being said. Most of it sounds like it is being read by someone seriously congested and with lisp. But I don’t believe I would have been more engaged if I had picked up the book. You get the clear message that the author was from the hood and, at least in his mind, he is still there. And for me, that is the disappointment. The book leaves no sense of evolution, broader understanding. Nothing anyone can hold onto to help lift them up and out. Given what this is, the title offends me. Being black, or blacker in this book is simply being more angry and more obscene. He uses the “N” word like wallpaper. I’d like to treat his detailed dissection of the ways it can be used as profound, but I found his extended defense just stupid, wrong, and a resistance to come up. Overall, the book is too soon. The book lacks depth and perspective. I did appreciate that Pittsburgh landmarks were interwoven into the fabric of the book. Reminds me of my old haunts. I am not a woke or down a$$ white boy but I love this book. I laughed, cried, argued, and sat ashamed and awed. A must listen or read for everyone in America. In the tradition of August Wilson’s, Pittsburgh glimpses, Young is raw, funny, vulnerable, insightful. It’s an easy and emotional listen. I couldn’t take my headphones out sometimes. I had been looking forward and waiting for this a long time. I couldn't decide between 2 or 3 stars overall. I don't know what I expected, but it wasn't this. There's absolutely nothing wrong with this book, it's beautifully written, it's very personal and there's so much to think about and learn from. But words being said over and over again, every 5 sentences, drives me nuts and I felt like it was all over the place, not so much a collection of essays, as a collection of essays from different sections of something. But that's just me. I fully understand other people's high ratings and I do recommend. I think I'd just been looking forward to this for too long. I would also have loved for someone else to read this book.